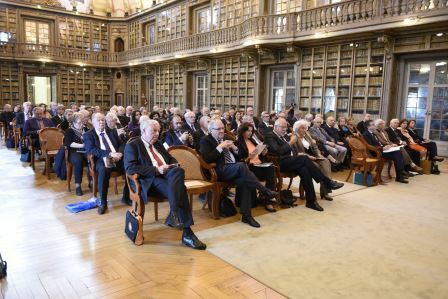 The 16th General Assembly of ALLEA (All European Academies) was held on 23/24 April 2015 at the Academy of Sciences of Lisbon in Lisbon, Portugal. 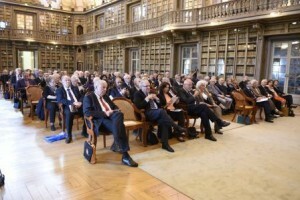 ALLEA’s annual meeting began with a scientific symposium on “Science and Research in Europe – past, present and future: 15 years of Lisbon agenda” and the Award Ceremony of the All European Academies Madame de Staël Prize for Cultural Values (23 April 2015, open to public). On the second day of the Assembly, the delegations of the ALLEA member academies assembled for ALLEA’s annual internal business meeting. In March 2000 in Lisbon, the European Council announced an action plan to accelerate the development of the European Union. 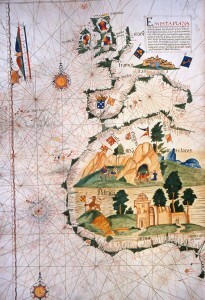 The Lisbon Agenda sought to make Europe the most competitive and dynamic knowledge-based economy in the world capable of sustainable economic growth with more and better jobs and greater social cohesion by 2010. These ambitions, however, have proved difficult to achieve. After the new Europe 2020 strategy was launched in 2010, EU policymakers announced that the ERA should be completed by 2014. But as last year’s reports indicated, this deadline was likewise not met and numerous “bottlenecks” still remain. 2015 marks 15 years after the Lisbon Agenda,and the symposium represented the perfect time and place for ALLEA and the European Academies to take stock of which goals were met and what remains unfinished. The scientific symposium thus addressed questions such as: What is the status of progress from the perspective of the scientific community? What challenges remain for achieving a true ERA and how can they best be tackled? At this year’s scientific symposium at the ALLEA General Assembly, participants heard lectures and panel discussions by renowned scholars and science policy advocates and discussed these questions. Examples of topics included the European funding strategies, the position of universities, perspectives for early career researchers, and the role of excellence with a special focus on Portugal. To view the programme, click on the image. On the occasion of its 2015 General Assembly, ALLEA issued a Joint Declaration “15 Years of Lisbon Agenda” on behalf of its nearly 60 member academies. The declaration appeals to the European Institutions and Member States to sufficiently undertake clear actions in order to achieve the aims of the Lisbon Agenda that still remain unfulfilled. ALLEA presented the Joint Declaration to the public at the closing of the Scientific Symposium on the topic “Science and Research in Europe – Past, Present and Future: 15 Years of Lisbon Agenda” which provided the thematic context for the declaration and, as described above, aimed to identify what actions are still needed to create a knowledge-based economy, as set out in the Lisbon Agenda 15 years ago. The declaration appeals to the European Institutions and Member States to follow through on those actions that are needed in order to realise the Lisbon Agenda’s ambitions, which are also incorporated into the current Europe 2020 strategy. It addresses aspects including the preservation of funding programmes, support for early career researchers, and inequalities that hinder competitiveness, among others. To read the declaration in full, please click on the thumbnail image. 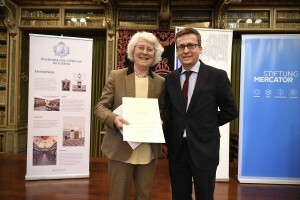 The Scientific Symposium was followed by the All European Academies Madame de Staël Prize for Cultural Values prize ceremony, at which the European Commissioner for Research, Science and Innovation, Carlos Moedas, handed over the ALLEA prize to laureate Dame Helen Wallace of the British Academy. To read more about the prize and view the image gallery from the 2015 award ceremony, please click here. 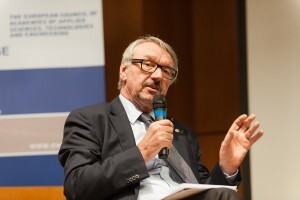 At the annual meeting of ALLEA on 24 April the member academies of ALLEA -nanimously voted to re-elect ALLEA President Professor Günter Stock for a second term (2015 – 2018). In a subsequent meeting, the ALLEA Board re-elected Professor Daniela Jezova of the Slovak Academy of Sciences and Professor Ed Noort of the Royal Netherlands Academy of Arts and Sciences as ALLEA Vice Presidents. 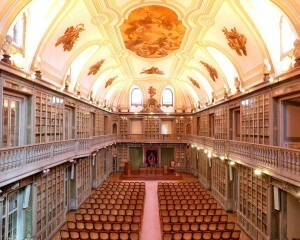 Photo of the Academy of Sciences of Lisbon by Paulo Bastos. All other photos by Felicitas Soeiro.